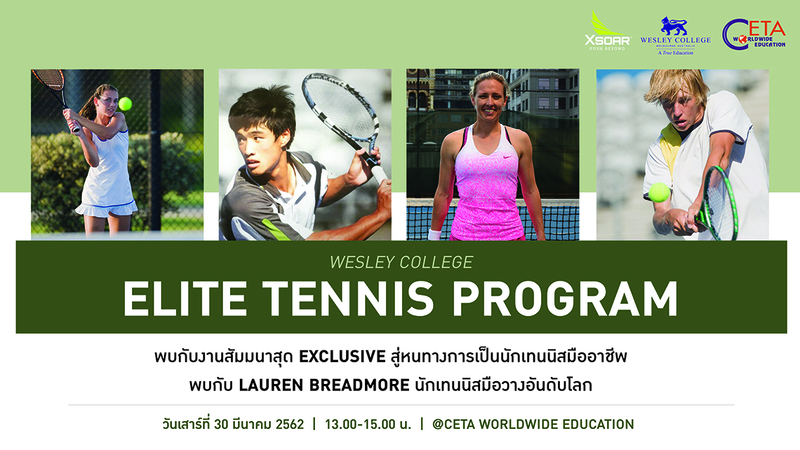 If you’re interested in tennis… DON’T MISS “WESLEY COLLEGE ELITE TENNIS PROGRAM” – a good chance to explore opportunities to become a professional tennis player. Wesley College has joined with XSOAR Perform, a Melbourne-based peak performance company, to establish a full-time High Performance Tennis and School Program for emerging tennis players of secondary school age. XSOAR’s dynamic and innovative program provides aspiring tennis players with a unique opportunity to pursue their sporting talent in tandem with a first-class all-round education. Time: 13.00 – 15.00 hrs.